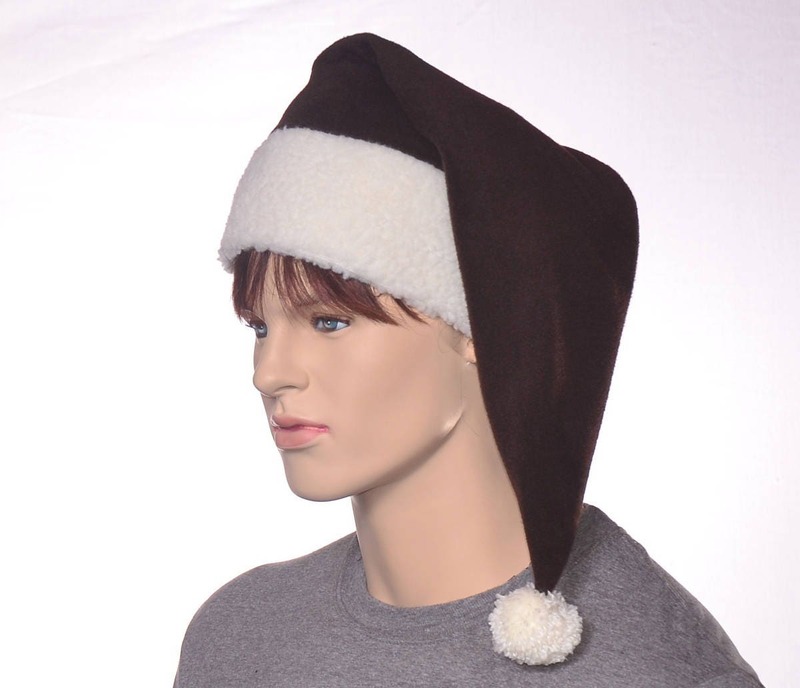 Christmas hat dark brown Santa hat. 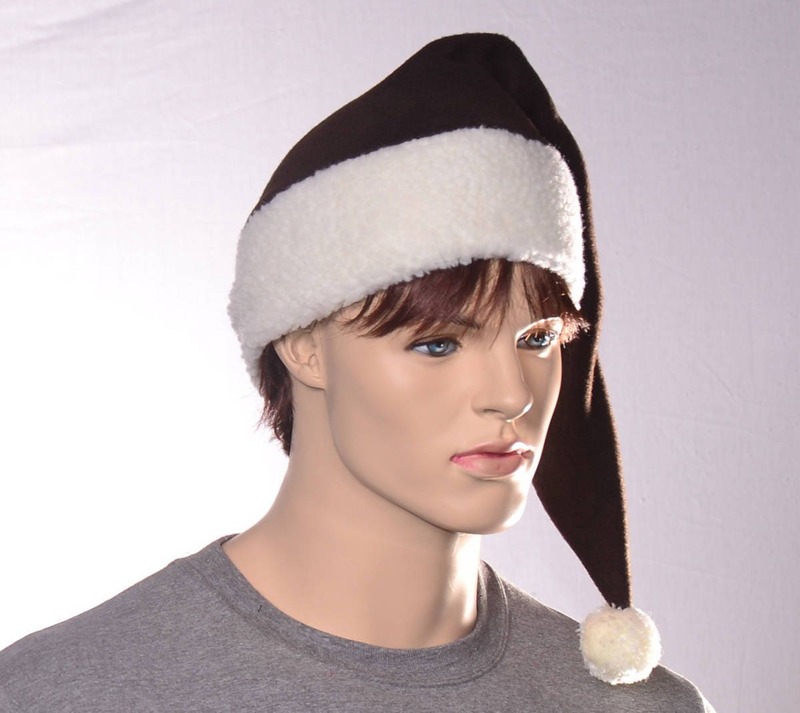 The headband of the hat is in a natural white polyester (faux) sherpa. 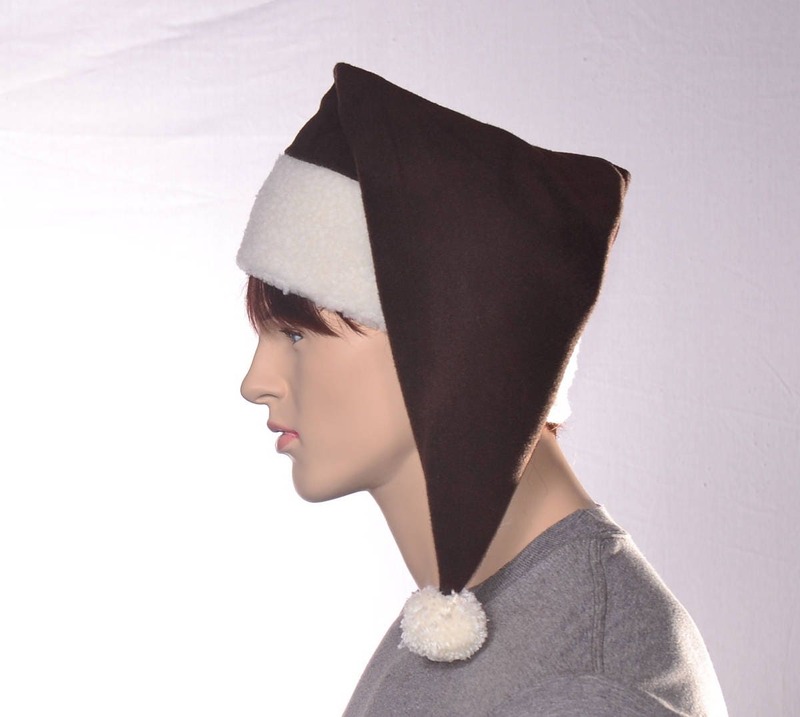 The body of this long stocking cap is a soft dark brown fleece. 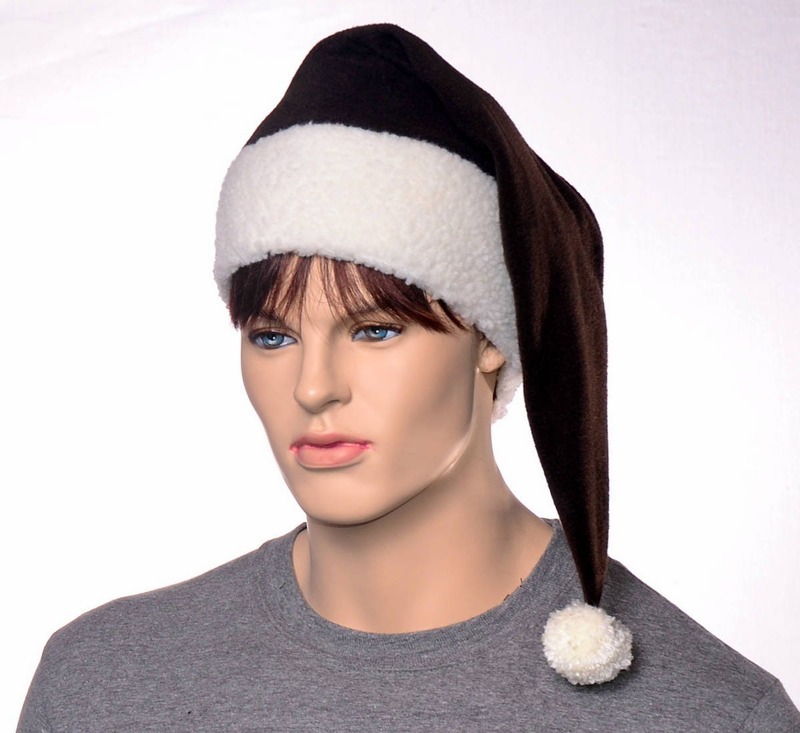 The tip of the point is finished with a hand tied yarn pompom in a natural white. Falls about shoulder length. 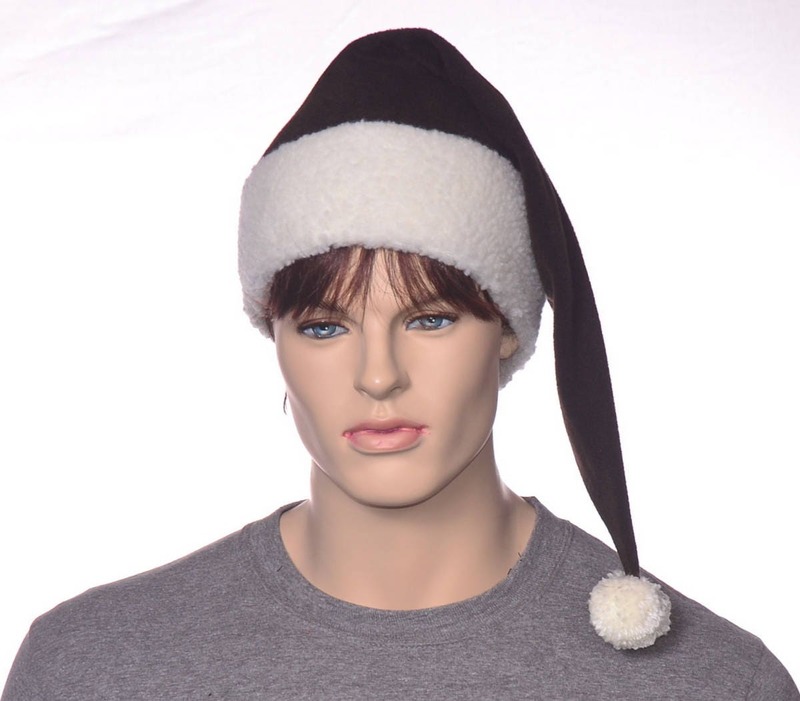 One size fits most adult men and women with heads measuring between 22-24 inches. If you need a larger or smaller size please convo me and I can make you a custom.